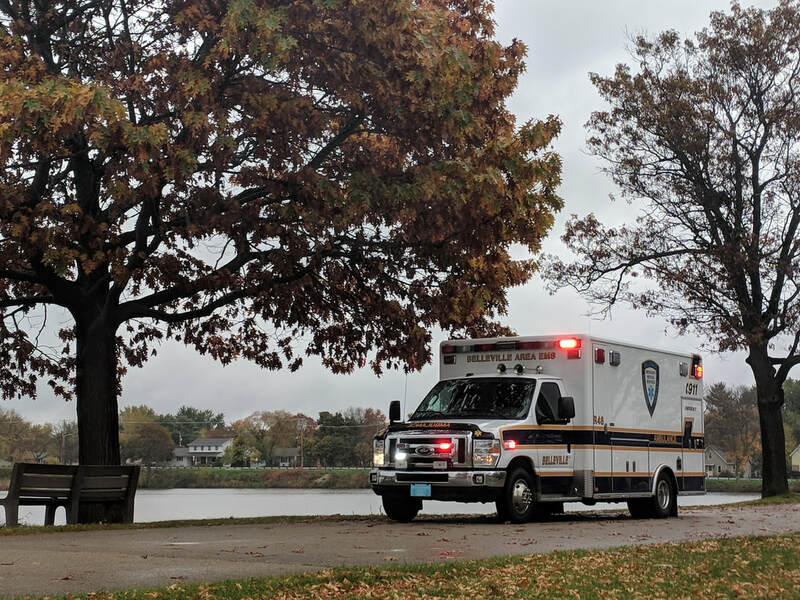 Belleville Area Emergency Medical Services (EMS) provides 24 hour a day emergency medical care to the Village of Belleville along with Towns of Montrose, Exeter, Primrose, Brooklyn, and Oregon. From its station on River Street in the Village of Belleville, Belleville Area EMS uses two ambulances and a staff of Emergency Medical Technicians (EMTs) to respond to around 400 calls a year. Interested in joining us? We are always looking for individuals interested in becoming EMTs or drivers for our ambulance service. Please email us at info@bellevilleems.org to learn more about getting involved as either a member or a "Friend of Belleville Area EMS".